The gap left by a missing tooth can mean greater strain is put on adjacent tooth either side. The teeth next to the space can lean into the gap or the tooth on the opposite jaw may get longer and alter the way the upper and lower teeth bite together. These also can lead to food getting packed into the gap, which causes both decay and gum disease. 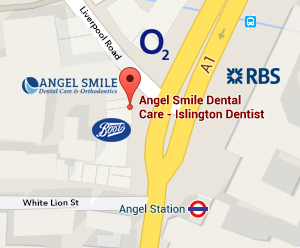 Please make an appointment with the Angel Dentists and Hygienist and ask for advice, You will get your beautiful smile back!